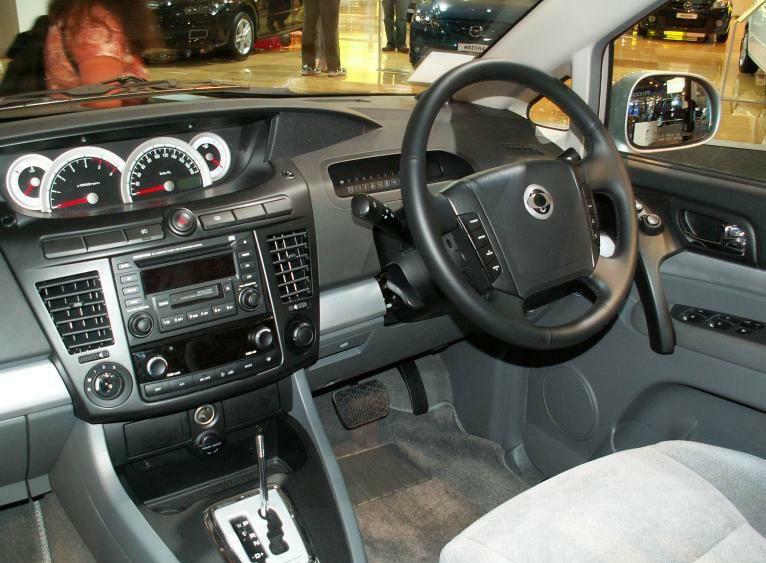 The Ssangyong Stavic starts with rear-wheel drive configuration mated to a Benz-sourced drivetrain including 121kW/342Nm 2.7-litre in-line five-cylinder turbo-diesel engine and five-speed manual gearbox.A Mercedes-supplied 3.2-litre in-line six-cylinder engine is also available, pumping out 162kW and 310Nm. Five-speed automatic transmission with tip-shift is optional. You can also add torque on demand all-wheel drive to that complete with low range gearing and centre diff lock. The system runs primarily in rear-wheel drive in normal conditions but can split torque up to 50:50 when the going gets slippery.Underpinning it all is a monocoque chassis incorporating a two-piece built-in frame melded out of the Ssangyong Rexton’s front-end and the Chairman’s rear that Ssangyong has christened Fusion Utility Vehicle (or FUV for short). Front suspension is via double wishbones, the rear independent by multi-links. Steering is by rack and pinion and braking by discs all-round with standard ABS. 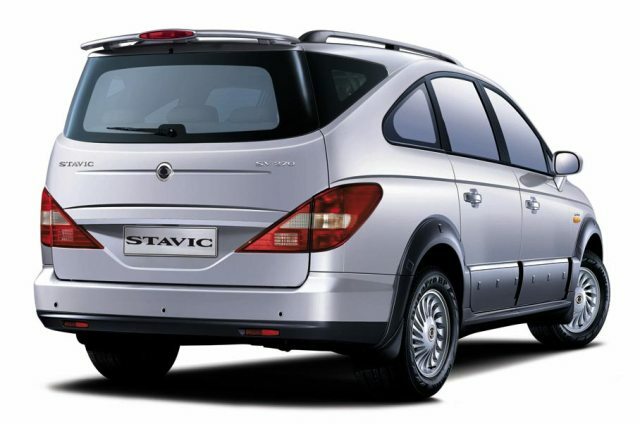 The platform is a massive 3.0 metres, the overall length 5.125 metres, height 1.82 metres, width 1.915 metres and the kerb weight varies between about 2000kg and 2200kg.The baseline equipment level for the Stavic will include dual front airbags, ABS, ducted air-conditioning, power windows, central locking, 16-inch alloy wheels, electrically folding exterior mirrors and rear parking sensors.